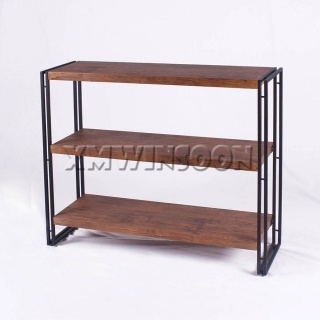 Master Carton Dimensions W28.75"*D10.23"*H17.3" (W67*D7.5*H61cm), 5pcs/ctn. 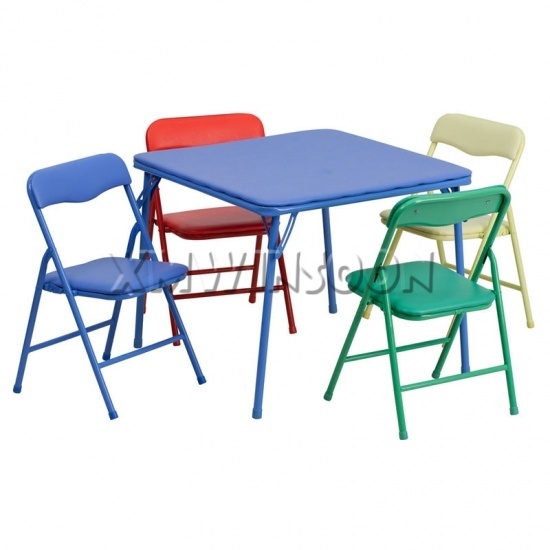 This colorful foldable set features 1 blue color table and 4 different color(blue, red, green, yellow) chairs made for children in the age range of 3~7 year old. 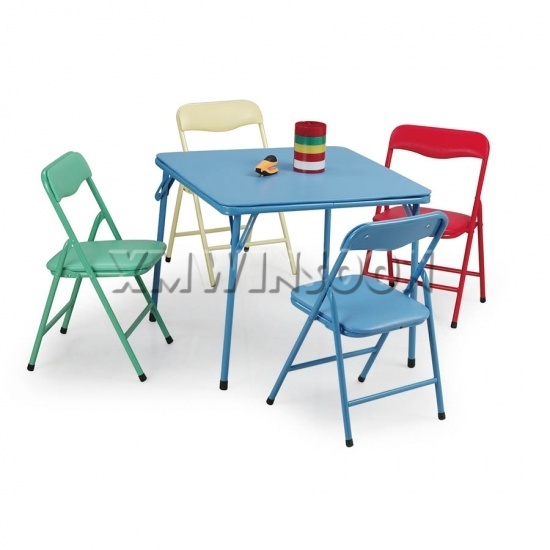 These lightweight kids table and chair will prove easy to move for children when they playing a game. 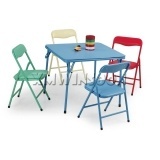 The child sized table and chairs is perfect for kids, they can enjoy playtime inside or outside. 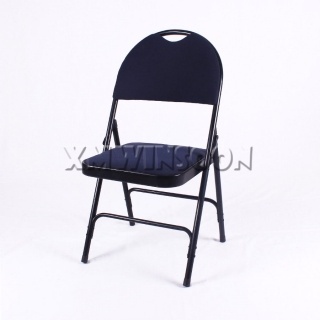 All the chairs and table foldable, they are very easy to fold and unfold that mean you can easily to transfer or store anywhere. 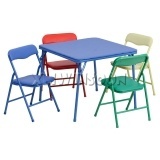 This 5 Piece Colorful Steel Kids Colorful Folding Table And Chairs Set features strong steel tube construction with comfortable vinyl padded, and these chairs has equipping an important security device – the safety locking mechanism under vinyl padded! 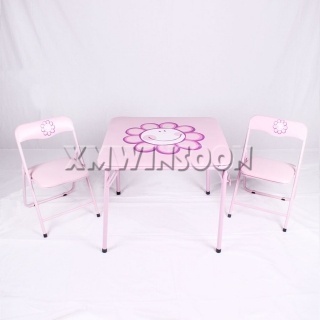 This Kids Set has rubber floor glides for each table and chairs legs for prevents slipping and scratches floor. 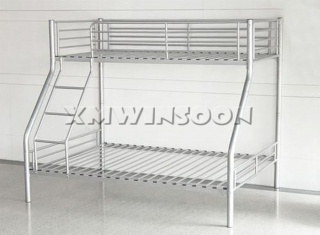 So the sturdy metal frame construction and this safety locking mechanism and the tuber floor glides will ensure children security during seat in chair for eating, playing, creating… Please note the vinyl padded table top is washable, it’s easily to clean up after your kids eat or draw a picture. 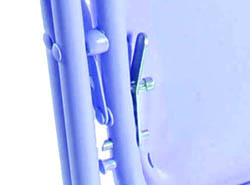 The view of Safety Locking mechanism under the padded of kids folding chair.